The awards and accolades just keep coming for Alaya Hotels & Resorts, reinforcing that a local brand has the ability to excel alongside international hospitality corporations. 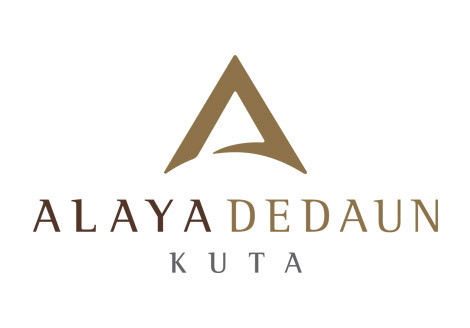 The last week of November 2018 saw both Alaya Resort Ubud and Alaya Dedaun Kuta achieved Emerald Accreditations in Bali’s annual Tri Hita Karana Awards. At the same time, Alaya Resort Ubud was also acknowledged with two PR Simpatik Awards, Best Service and Presentation in the Melapa Melapi Awards, an Agoda Golden Circle Award and placement in the Best Latte Art Competition 2018. Alaya Resort Ubud and Alaya Dedaun Kuta were both awarded Emerald Accreditations during Tri Hita Karana (THK) Awards 2018. The awards were presented during an official ceremony hosted on 29th November 2018 at the Ksirarnawa Hall, Art Centre in Denpasar. This culturally-inspired event was attended by leading Balinese hoteliers and business owners. The awards essentially recognize significant achievements in incorporating sustainable spiritual, social and environmental principles and practices into business operations. This is Alaya Resort Ubud’s second Emerald Award as a Five Star Property and also a second for Alaya Dedaun Kuta as a Boutique Villa. Under the Alaya Hotels & Resorts banner, we strive to implement the principles of Tri Hita Karana, which is a Balinese Hindu lifestyle philosophy, into all areas of business. We are committed to adhering to local cultural and spiritual beliefs, as well as trying to make a difference to those less fortunate who do not directly benefit from the island’s tourism sector. In conjunction with the Tri Hita Karana Awards & Accreditations, the foundation also presented PR Simpatik Awards to deserving hospitality employees in the field of public relations. Two members of the Alaya Resort Ubud team were rewarded for their fine efforts. PR Executive – Ni Luh Putu Alit Pratiwi won first place, while Ni Made Jeni Kartika earned second place. 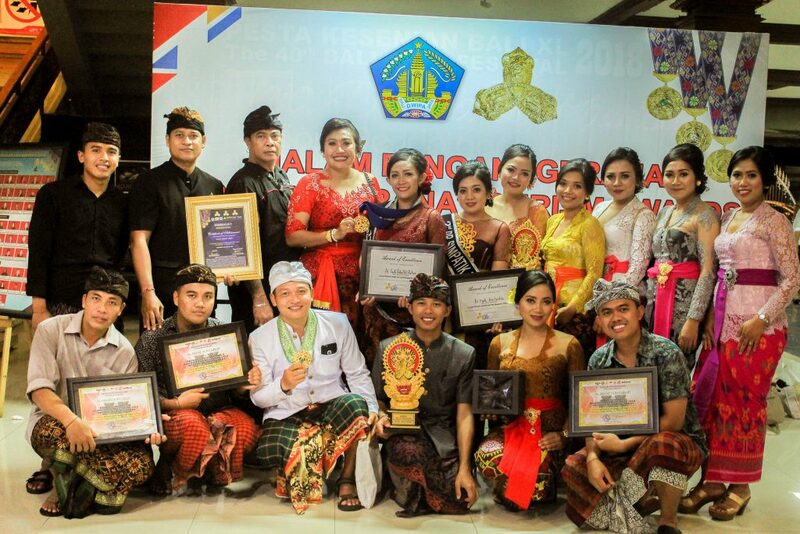 These awards are dedicated public relations practitioners in Bali’s hospitality industry for their contribution in advocating the Tri Hita Karana philosophy on a professional and personal level. The evaluation process involved all finalists answering written tests about their understanding of the Tri Hita Karana lifestyle concept. These results contributed extra points towards the final assessment. The aim of this was to identify winning candidates who are capable of disseminating THK programs, not only within their respective workplaces, but also within local society in general. Simultaneously, Alaya Resort Ubud was also awarded first place for Best Presentation and runner-up for Best Service in the Melapa Melapi Cooking Competition. This local initiative is one of the highest acknowledgements in Balinese cuisine. By participating in this event, the resort displayed its ability to support Balinese culture through preserving the island’s culinary heritage. Driven by his passion for traditional Indonesian cuisine, Chef Henry Alexie Bloem, in his capacity as Food & Beverage Advisor, has injected innovation and energy into the restaurants at Alaya Resort Ubud. In collaboration with Food & Beverage Manager Agung Yoga, Chef Bloem has revitalized all menus and motivated the kitchen team to earn recognition in the Melala Melapi Awards. Chef Bloem has drawn on his extensive culinary knowledge and management skills to showcase authentic Balinese cuisine with an elegance that complements the resort’s design aesthetic. Alaya Resort Ubud’s victorious streak continued during a gala event for the Agoda Gold Circle Awards hosted by St. Regis Bali, Nusa Dua on Saturday, 1st December 2018. The resort achieved a top score of 8,9 to claim its winning status. More than 1,600 hotels and accommodation partners from 33 markets across the world are currently celebrating after being presented with an Agoda Gold Circle Award 2018. Now in its 10th Year, this annual endeavour recognizes elite service and high scoring peer-to-peer customer reviews from the 22 million reviews on Agoda, as well as excellence in pricing and availability. “Having previously been honoured by Agoda with an Elite Gold Circle Award in Indonesia, this is another first for Alaya Resort Ubud to receive such a prestigious acknowledgment. Only 60 top hotels are presented with this award and it further consolidates our revenue achievements and on-line reputation as an industry leader,” says Dewi Mas, CHA, CHT, General Manager of Alaya Hotels & Resorts. The Gold Circle Awards give hotel guests a clear indication of the high service quality standards they can expect when they book with these hotels. Increasingly in this digital age, customers rely upon other peers’ reviews when making decisions about where to stay, so it’s very important that the Gold Circle Awards criteria reflects this. Bale Udang Mang Engking Ubud recently joined forces with the Ubud Hotel Association to host a Latte Art Competition on 1st December 2018. The event attracted baristas and coffee loving folk from all over Bali as participants showcased the fine art of pouring the perfect latte. The competition was judged on design, precision and cleanliness. Coffee friends from all over the island gathered to compete and share a few laughs over some pretty decent lattes. There was lots of local talent on display and Alaya Resort Ubud is especially proud that one of its own baristas, Agus Setiawan from Manisan Bali, was chosen as third-place winner.